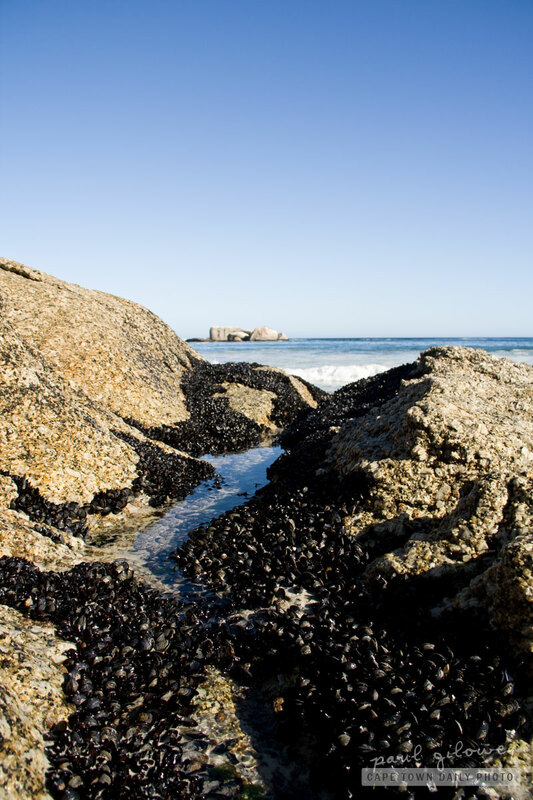 Mussels are really hardy creatures. They withstand the relentless pounding of the sea in the stormiest conditions. However - even though they're so hardy, mussels have the unlikeliest predator - the starfish! The starfish uses its powerful arms to slowly pull the mussel's shell open. Once the gap between the two shells is large enough it turns its stomach inside out and forces it into the shell and digests the mussel right in its own home! Who would have thought the sea star to be such a vicious foe?! I took this photo at the beautiful and peaceful Clifton 4th beach. Posted in General and tagged mussels, rocks, sea on Wednesday, 25 May, 2011 by Paul.